Conk Gin. Our agency Christmas card for 2017. Chin chin. The problem with Christmas cards is; you can’t drink them. The problem, along with the fact that everyone sends them, is you have to cut down trees to make them and well, they are boring which is something we at Hedgehog Digital wanted to rectify this year. So we dusted off our boards and rode the gin wave (you know, the one that has been going since Victorian Britain). We cleared the shelves of cranberries much to the bemusement of Lidl, Tesco and Asda staff and began to get our prick on. Tools included (sterilised of course) sewing needles, afro combs and corn on the cob holders. Fast forward 3kg of berries, a tirade of curse words and a few stabbed fingers then we added orange rind and enough sugar to make a dentist weep. Then last but most definitely not least, the gin. Capped and bottled and left to infuse we set out defining a name. The colour, a rosey red shade, reminded us of frozen noses and we figured the drink itself can remedy at least the mental implications of cold weather so we landed on Conk; as in big ol’ rosey conk. Conk Gin. Sounds nice doesn’t it? We created a logo and nabbed a delightfully childish poem to put a smile on peoples faces before even their first sip. 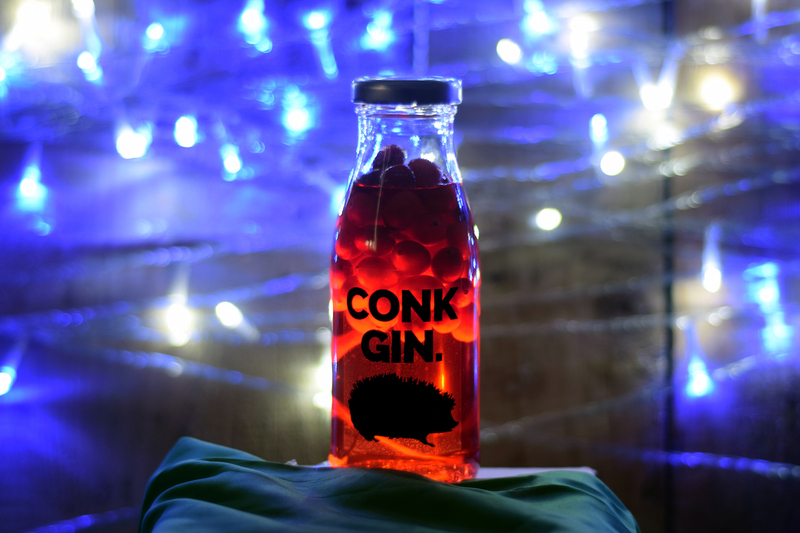 If you wanted to know how much effort was involved in this crafty christmas project, the answer is lots but the first deliveries have been made by our postal elves and Conk Gin has been well received. 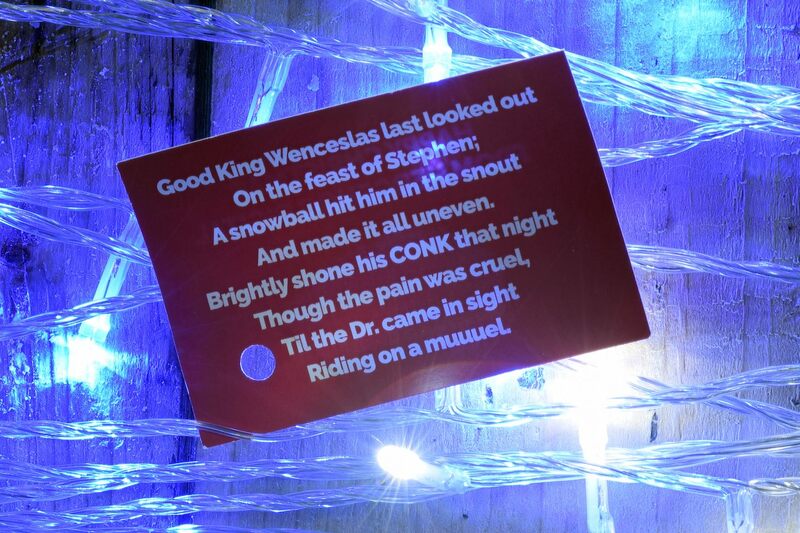 Do you know how many comments we got on our Christmas Cards last year? None. Going the extra mile has already paid off and you know what? Tis the season for this kind of thing. We had fun making it not to mention the few “accidental spare” bottles that will no doubt get drunk before 2018.